Now in February our vets will go there and spay and neuter the animals - but this is not enough! Also spayed and neutered they will be hungry and seek food and animal-friendly tourists not knowing what to do will feed them, encouraging them to return to the place where they will be abused and in the end - poisoned! Last mass poisoning reported at this beach was in 2014. Now we have for the first time the chance to create a regular feeding station - our first dog restaurant! - and we have helpers to maintain the station daily. But they have counted 117 dogs in the area,threatened by poisoning if nothing happens, and 62 cats. To spay and neuter them is not the problem - our vets are good! - but dog food is expensive in the Dominican Republic. To provide only 1 meal a day, we need 500 $ monthly, without - the abuse will continue and the next poisoning will happen regardless if the animals are spayed or not. Too great is the fear that they might disturb the tourists. But if we could create and maintain a regular feeding station and condition not only the animals but also the animal-loving tourists to it, then we could also convince hotels and restaurants that there are better, humane ways to deal with a stray animal problem and that most of their guests will surely appreciate that. Please help us to make this dream come true! January 9th - 11th the vet team Anja Heß, Ingrid Stegemann and Alfred Huber operated in Boca Chica. The full report appears by the end of the month on http://www.kreolischerhund.de/Kastrationsprojekte.en.php . We had hoped that the opening of the feeding station would happen during this time but, now that the station is ready, the excavation has been made and the cement for the founfation is waiting to be poured, the town od Boca Chica wants this process on public land to be overseen by their supervisor who is on vacation til 01/20. So we have to be patient once more. 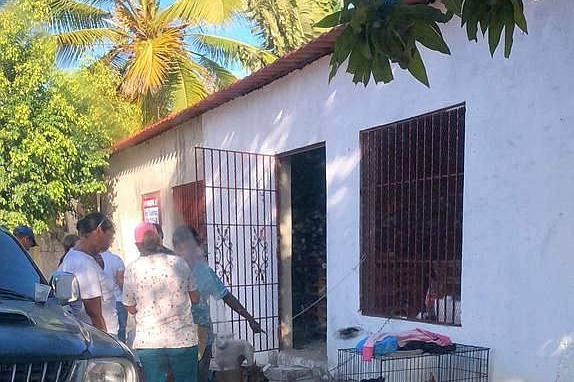 In the meantime we received an email from a resident of Boca Chica describing very well the situation we face and the goal we have to pursue: This man witnessed a group of dogs appearing each morning in front of a restaurant, barking and making a lot of noise begging for food. So he went to the supermarket and bought dog food of a quality brand - the dogs refused it and kept on raising hell in front of the restaurant because they are so used to feeding on spicy human left overs that to them dog food apparently doesn't have the right flavor. Now the man is worried, and rightly so, that the dogs might get poisoned eventually if they continue to carry on like this. And this ist what we are up against! Not just feeding a bunch of starving strays, grateful for each morcel of food but having to correct a longtime wrong policy and mismanagement in regards to dealing with stray animal populations: In the beginning they are ignored by the local authorities and enterprises until they become a problem due to their growing number and the controverse reactions of animal loving tourists and tourists who feel disturbed by them (yes, they exist!). While the former, often well-meaning but ignorant to the results of their behaviour, feed the animals everywhere and encourage them to enter resorts, restaurants and other places where animals might not be generally welcome, the latter complain about noise, excrements, are scared of dogs, maybe allergic or afraid that their children might catch a disease. Business people with touristic enterprises are faced with having to deal with these complaints and koncked over garbage cans or torn garbage bags, the contents lying all over the place when the dogs rummage through the garbage. The consequence: The dogs must go = be destroyed. That was the vicious cycle so far that we are trying to break with our dog restaurant. But as the mail of this resident of Boca Chica shows us, the dogs have developed strong habits, unaware of the deadly danger they are in , and it will take time and efforts and the help of all animal loving tourists to condition the animals to their new, legal and accepted feeding place once it has opened. We will only succeed in saving the dogs' lives if all animal caring tourists understand and respect that it is adamant that the dogs are fed nowhere else but at the feeding station! We are thinking of asking the restaurants to leave table scraps to the helpers taking care of the feeding station to be mixed with dog food in order to give the dogs the flavor they are used to and encourage all tourists to meet the helpers at the feeding station and participate in feeding the dogs. Place and daily hours will be advertised. Vom 09.- 11. Januar kastrierte das Ärzteteam Anja Heß, Ingrid Stegemann und Alfred Huber in Boca Chica. Der komplette Bericht erscheint zum Monatsende auf http://www.kreolischerhund.de/Kastrationsprojekte.php . Wir hatten gehofft, dass die Eröffnung unseres Hunderestaurants in diesen Zeitraum fallen würde, doch nun, da die Station gebaut ist, die Ausgrabung fertig ist und der Zement für das Fundament bereit steht, möchte die Stadtverwaltung diesen Prozess auf öffentlichem Land von ihrem Supervisor überwachen lassen - und der hat bis zum 20. 01 Urlaub! In der Zwischnzeit erhielten wir eine Mail, die recht gut beschreibt, worum es hier eigentlich geht: Ein Einwohner von Boca Chica beobachtete eine Gruppe Hunde, die sich jeden Morgen vor einem Restaurant versammeln, bellen und sehr viel Lärm machen, weil sie betteln. Der Mann ging in den Supermarkt und kaufte Hundefutter - die Hunde ignorierten es! Sie sind so an stark gewürzte menschliche Essensreste gewöhnt, dass sie Hundefutter nicht anrühren. Nun hat der Mann begründete Angst, dass die Hunde vergiftet werden , wenn sie sich weiter so aufführen. Und das ist das Problem, mit dem wir zu kämpfen haben! Es geht nicht darum, halb verhungerte Hunde zu füttern, die für jeden Happen dankbar sind, sondern darum, ein jahrzehnetelanges Fehlverhalten und Mismanagement von Streunerpopulationen zu korrigieren. Anfänglich von den Behörden und der lokalen Tourismusindustrie ignoriert, werden die Tiere zum Problem durch ihre wachsende Zahl und den Konflikt zwischen tierliebenden Touristen und solchen, die sich von den Hunden gestört fühlen (Ja, die gibt es!). Während die Tierfreunde, die es zwar gut meinen, aber sich der Konsequenzen ihres Handelns nicht bewusst sind, die Tiere bedenkenlos überall füttern und ermutigen, Hotelgelände, Restauranst und andere Orte aufzusuchen, wo sie nicht generell willkommen sind, fühlen sich andere Gäste belästigt und beschweren sich über Lärm, Exkremente, haben Angst vor den Hunden , sind Allergiker oder fürchten, ihre Kinder könnten sich eine Krankheit holen. Die lokale Tourismusindustrie muss allen Gästen gerecht werden und mit den Auswirkungen der Streunerpopulationen fertig werden, oft auch mit umgeworfenen Abfalltonnen, aufgerissenen Müllsäcken und weit verstreuten Abfällen, Hinterlassenschaften der Hunde auf ihrer Nahrungssuche. Die Konsequenz: Die Hunde müssen weg = vergiftet werden. Das ist der Teufelskreis, den wir mit unserem Hunderestaurant durchbrechen wollen! Aber wie uns diese Mail aus Boca Chica zeigt, haben die Hunde eingefleischte Gewohnheiten entwickelt, ohne die Gefahr zu ahnen, in der sie schweben, und es wird Zeit, Mühe und die Hilfe aller tierlieben Touristen erfordern, um die Tiere auf ihren neuen, legalen und akzeptierten Futterplatz zu konditionieren! Wir werden nur in der Lage sein, das Leben dieser Hunde zu retten, wenn alle tierlieben Touristen verstehen und respektieren, dass es (überlebens)notwendig ist, dass die Hunde nirgendwo anders gefüttert werden als an der Futterstation. Wir überlegen, die Restaurants zu bitten, ihre Essensreste den Helfern, die die Station betreuen, zu überlassen, damit das damit gemischte Hundefutter für die Hunde den gewohntenGeschmack hat.Wir bitten alle tierlieben Touristen, die Station zu den Fütterungszeiten zu besuchen und an der Fütterung teilzunehmen. Zeit und Ort wird bekanntgegeben werden. It took a whole year but now it is ready! Next week our feeding station, our "dog restaurant" will be installed! What began as a cry for help of 2 young tourists for 8 abused dogs at their hotel has grown into a project for the whole community of Boca Chica, supported by the mayor, the town administration, the business people of Boca Chica and many, many other Dominicans, directed by project manager Emily Espinosa, vice president of Cat Lovers RD ! 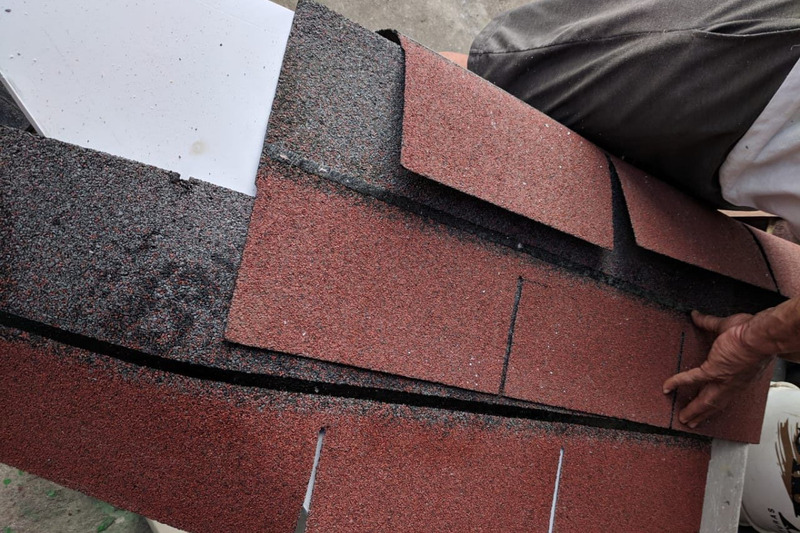 A lot of hopes are tied to this little house with its red roof! It shall become a role model showing a way out of the vicious cycle of seasonal stray poisonings in tourist places and we hope that this will be copied by many! Already now the beach dogs of Boca Chica marked with yellow ear tags as participants of this project that were spayed and neutered by the team of Anja Heß at the begining of the year arouse attention. There will be another information campaign by Emily's Dominican Scouts when the station is opened, informing about feeding times and contact possibilities and we beg all tourists to respect that and support us by not feeding animal anywhere else but rather donate or bring food to the station and report any animal needing help rahter than taking them to hotels or restaurants. This is vital for the success of the project! And our only chance to show that animal welfare and tourism can coexist! The day after tomorrow Anja Heß, Ingrid Stgemann, Dr. Alfred Huber and Dolores Rohrer fly again to the Dominican Republic for a spay and neuter campaign . 9th - 11th of January they will be in Boca Chica! A very Happy and Successful New Year to you all and many , many thanks for your help without which we could never have done this, and your patience and trust during the long time it took to realize this! Ein ganzes Jahr hat es gedauert. Nun ist es soweit. Nächste Woche wird unsere Futterstation für die Strandhunde von Boca Chica installiert! Was als Reaktion auf den Hilferuf zweier junger Touristen für 8 misshandelte Hunde ihres Hotels begann, hat sich zu einem Projekt für die gesamte Gemeinde von Boca Chica entwickelt, unterstützt und gefördert von vielen Dominikanern, dem Bürgermeister, der Stadtverwaltung, den Geschäftsleuten von Boca Chica und vielen anderen unter der Leitung von Emily Espinosa, Vizepräsident der Cat Lovers RD. 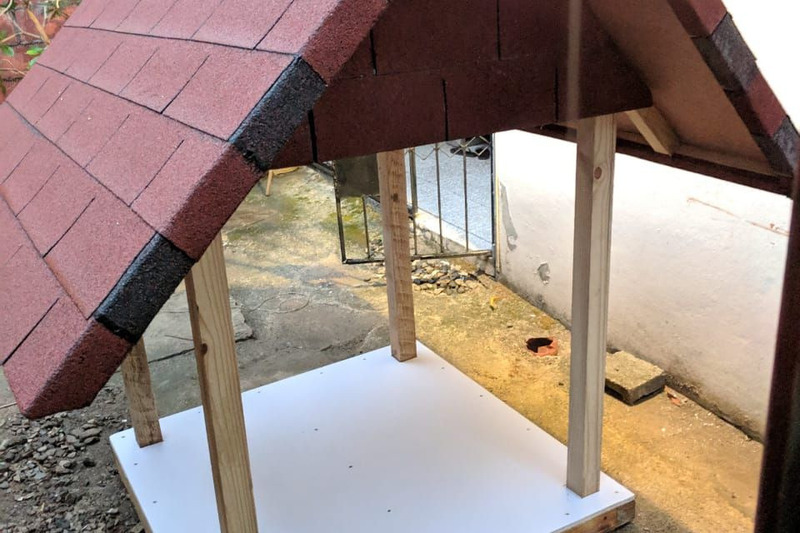 Dieses Häuschen, unser „Hunderestaurant“ steht für ein Modellprojekt, das wegweisend sein soll für eine Alternative zu den saisonalen Vergiftungsaktionen in Touristenorten und hoffentlich viele Nachahmer findet. Schon jetzt finden unsere Strandhunde, die durch gelben Ohrmarken als Projektteilnehmer gekennzeichnet und von dem Team Anja Heß Anfang 2018 kastriert wurden, Beachtung. Wie vor einem Jahr wird es zur Eröffnung der Station eine informative Werbeaktion von Emilys Dominican Scouts geben, die täglichen Fütterungszeiten und Kontaktmöglichkeiten werden bekanntgegeben und wir bitten alle Touristen, uns dabei zu unterstützen, Tiere nirgendwo anders mehr zu füttern als an der dafür vorgesehenen Station, für die Station zu spenden und Notfälle zu melden. Die Kooperation der Touristen ist Voraussetzung für den Erfolg des Projekts! Nur so können wir zeigen, dass Tierschutz und Tourismus kompatibel sind! Übermorgen schon fliegen Anja Heß, Ingrid Stegemann, Dr. Alfred Huber und Dolores Rohrer zum nächsten Kastrationseinsatz in die Dom. Rep. Vom 09. – 11. 01. 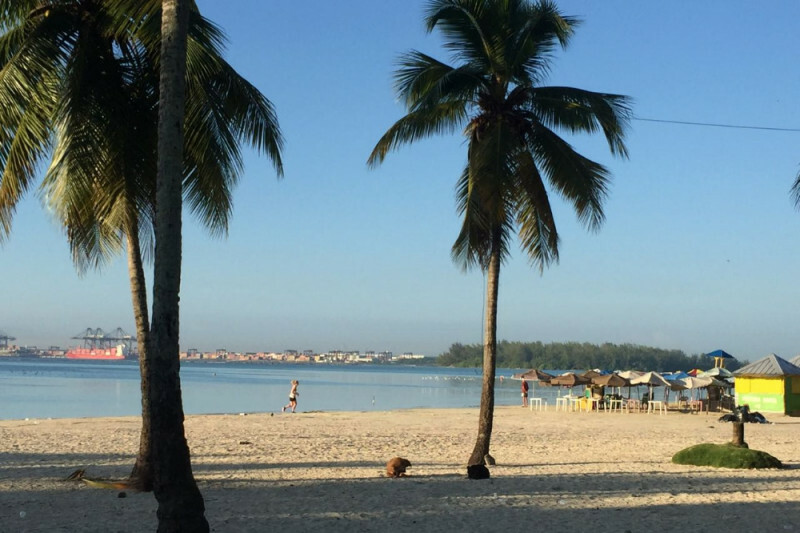 19 werden sie in Boca Chica kastrieren. Ihnen allen einen guten Rutsch in ein gesegnetes, glückliches und gesundes Neues Jahr! We finally got the bill for the wooden construction of the feeding station to present to you. Total 30.780 Dominican Pesos which equals 545,00 Euros and leaves us with 475 Euros for the concrete foundation including the excavation work. We expect this to happen still this year. The last hold up is the understandable demand of the town administration to regulate the disposal of the expected dogs' excrements . A waste bin will be installed and a supermarket has already donated 1000 plastic bags so that the helpers who will maintain the feeding station can pick up doggy poops and place them in the garbage can. Now an agreement with the garbage collection service of Bocas Chica has to be signed so they will empty the garbage bin of the feeding station regularly . I want to remind everybody who is - most understandably! - getting impatient that this is not a project to feed a few dogs but to implement a role model for the coexistence of animal welfare and tourist industry showing a way out of the vicious circle of seasonal poisonings which will hopefully inspire a lot of other people in a lot of other places - therefore bear with us, don't lose hope and never give up! Endlich haben wir die Rechnung vorliegen für die Holzkonstruktion der Futterstation , insgesamt 30,780 Dominikanische Pesos = 545 Euro. Es bleiben 475 Euro für das Zementfundament und die Grabungsarbeiten. Wir hegen die Hoffnung , dass die Futterstation noch dieses Jahr an Ort und Stelle stehen wird. Die letzte Verzögerung ist durch die - berechtigte - Forderung der Stadt entstanden, für die Entfernung der zu erwartenden Hundeexkremente zu sorgen. Eine Mülltonne wird aufgestellt und ein Supermarkt hat schon 1000 plastiktütchen gespendet, damit die Helfer, die die Hunde füttern und die Futterstation betreuen, auch die Hundehäufchen aufsammeln und in die Tonne werfen können. Nun muss nur noch eine verbindliche Vereinbarung mit der Müllabfuhr getroffen werden, damit die Tonne auch regelmäßig geleert wird. Wir bitten alle, die allmählich (und verständlicherweise) bei der Langsamkeit, mit der dieses Projekt voranschreitet, am Erfolg zweifeln, um Verständnis und möchten daran erinnern, dass es sich hierbei nicht darum handelt, ein paar Hunde zu füttern, sondern um ein Model, das die Möglichkeit der Koexistenz von Tierschutz und Tourismusindustrie demonstrieren und einen Weg zeigen soll, der ohne saisonale Massenvergiftungen auskommt und hoffentlich viele Nachahmer an vielen Orten findet. Deswegen bitten wir um Geduld - Haltet mit uns durch, verliert die Hoffnung nicht und gebt nicht auf,! Das, woran wir glauben, soll Realität werden! Creamos todo tipo de torres para gatos, desde la más simple a la más complicada. Siempre haciendo lo mejor para satisfacer a todos nuestros clientes brindando calidad. The last major hurdle has been taken! The excavation permit for the foundation of the feeding station is there! Now the ground is being tested to find the right place to dig; neither rocky nor sandy and unstable. 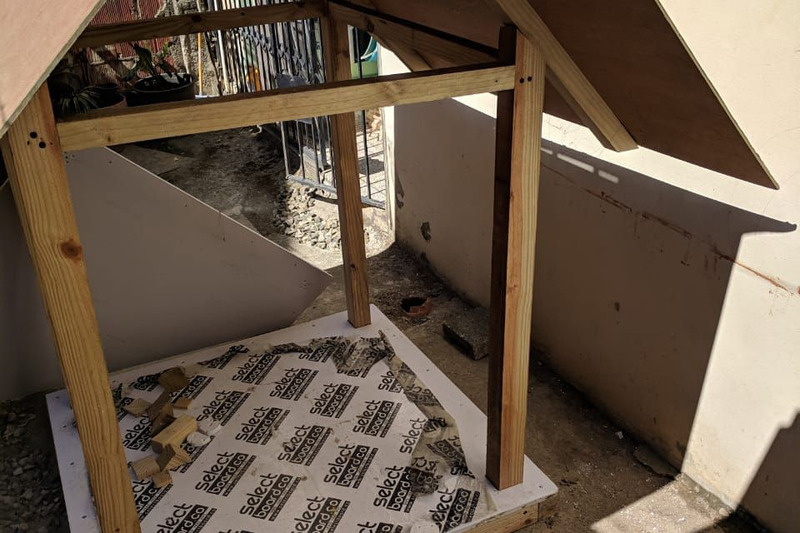 In Santo Domingo there were some problems with the carpenter and now another shop is continuing the work - but all these are minor problems that will be solved. We also have the date for the next spay & neuter operative: On January 2nd our vets Anja Heß, Ingrid Stegemann and Dr. Alfred Huber will land in Santo Domingo and proceed straight away to Boca Chica to spay and neuter up to 100 animals there. Die letzte große Hürde ist genommen! Die Genehmigung für die Grabungsarbeiten für das Fundament der Futterstation wurde erteilt. Nun wird der Boden untersucht für den idealen Standort. Er darf weder felsig noch sandig und instabil sein. In Santo Domingo wurde in der Zwischenzeit der Schreiner gewechselt, weil es in der bisherigen Schreinerei einige Probleme gab. Doch das sind alles kleinere Probleme, die sich lösen lassen, nun, da alle wichtigen Genehmigungen erteilt wurden. Ein Datum für den nächsten Kastrationseinsatz gibt es auch schon: Am 02. Januar landen die Tierärzte Anja Heß, Ingrid Stegemann und Dr. Alfred Huber in Santo Domingo und beginnen ihren Einsatz in Boca Chica , wo sie etwa 100 Tiere kastrieren werden.